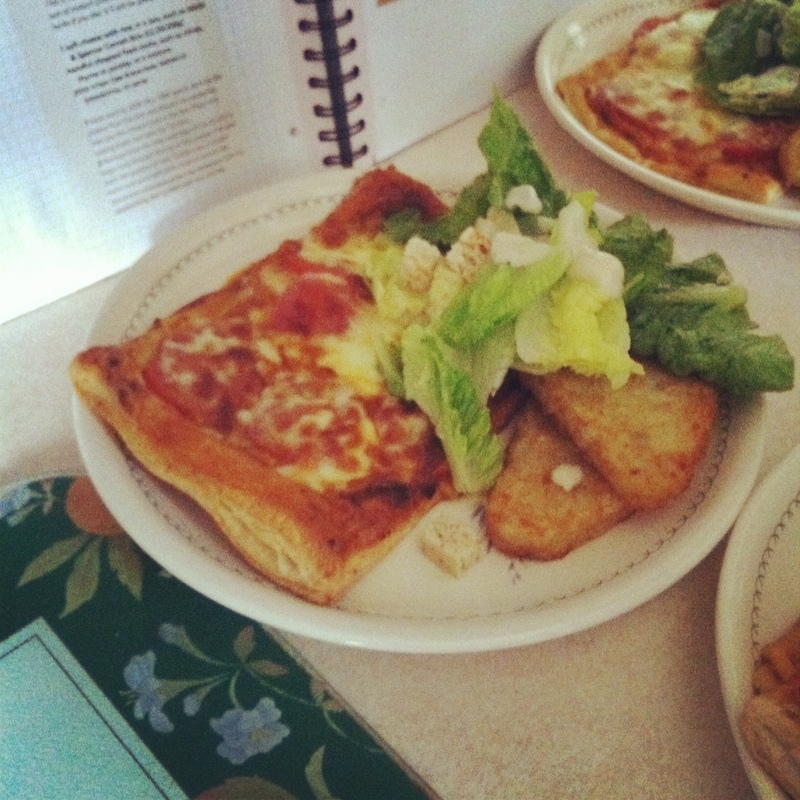 This dish is incredibly simple, it took 10 minutes to prepare and 20 minutes to cook, and served 4 well. 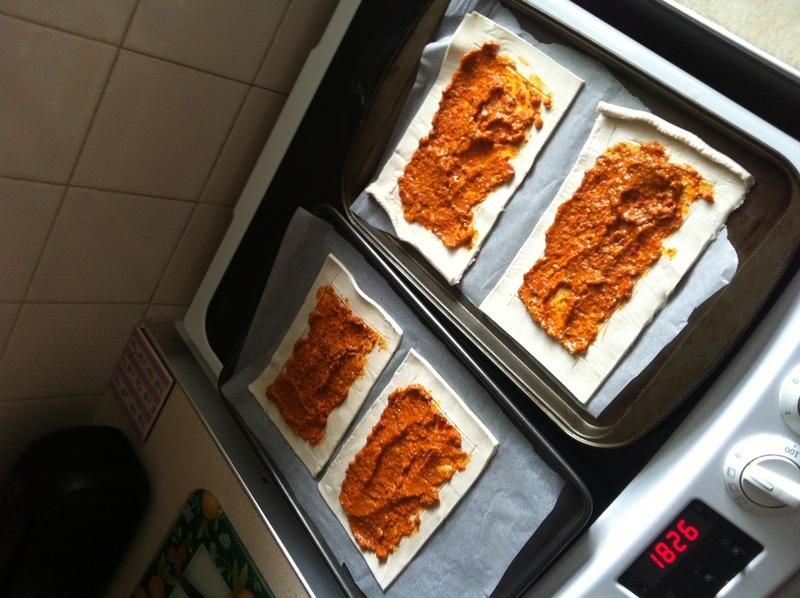 Divide the puff pastry sheet into four parts (or stretch it further if need be). Score about a centimetre inside the edge, and brush the outside with the beaten egg. 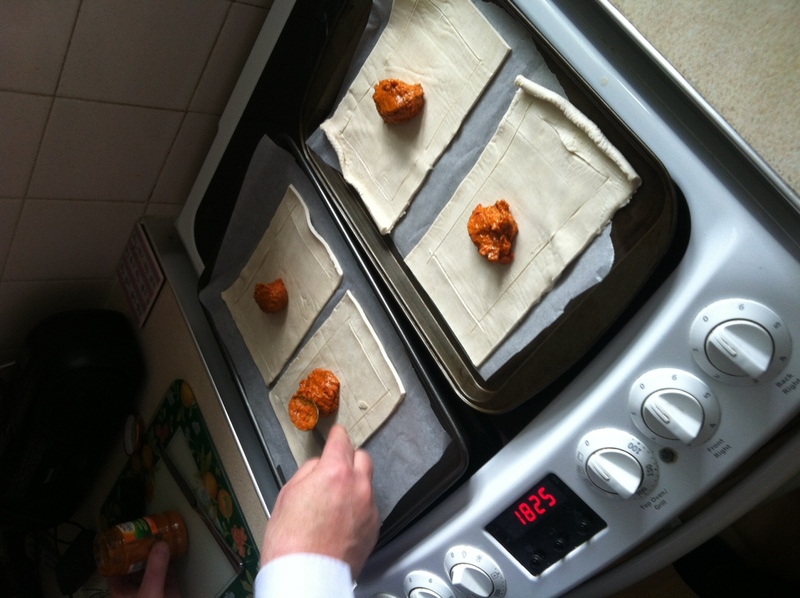 Place the pastry pieces on to a sheet of baking paper on a baking tray. Inside the score marks prick with a fork (to let out steam) and place a big dollop of red pepper pesto. Spread the pesto to the edge of the scored zone. Preheat the oven to 200 degrees/180 fan/gas 6. 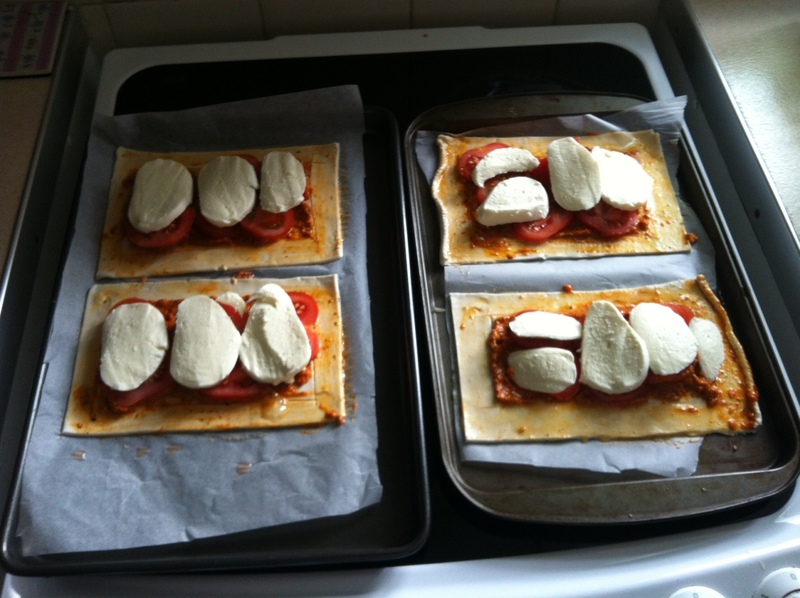 Place the sliced tomato on top of the pesto, and then cover that in mozzarella slices. 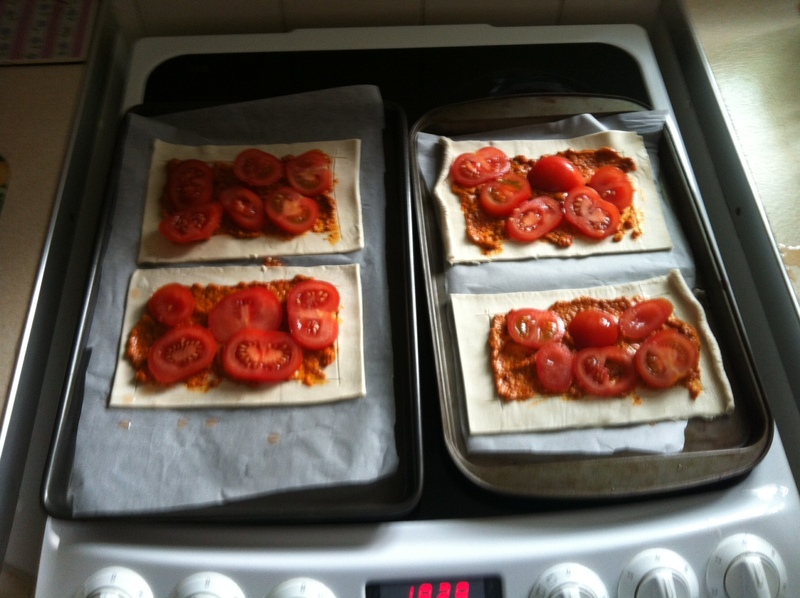 Drizzle with a bit of olive oil and place in oven for 15-20 minutes until golden, like photo above. 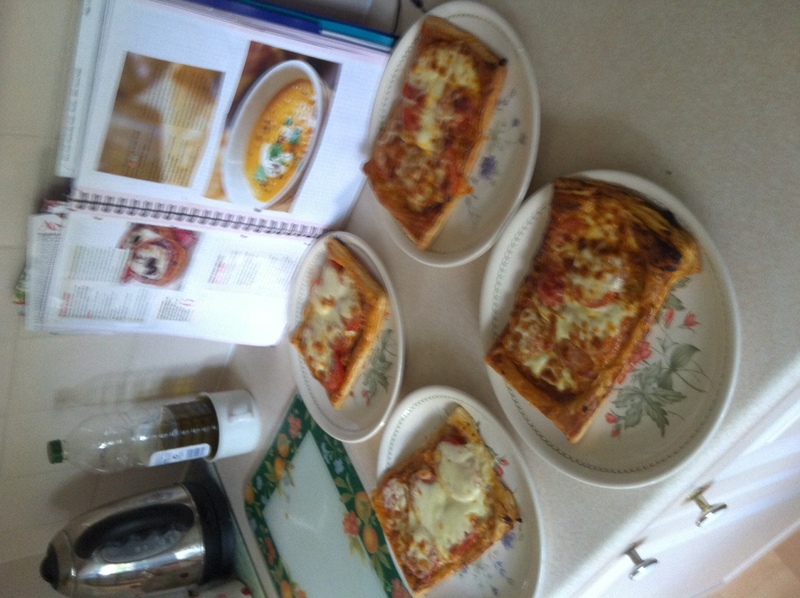 You may find that you have to spread out the pastry pizzas on to two baking trays. This recipe would also work really well as a simple canapé, if you made the pieces bite-sized. Also, if you have any spare, drop a couple of olives on top before it goes in the oven for that full-on Mediterranean flavour!